Ashlee+Evan : Pictures of the screening in Ashlee and Evan’s backyard + New interview! Hello! 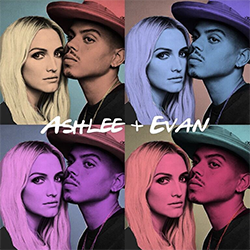 On September 9th, it was the premiere of Ashlee+Evan. Ashlee and Evan organized a screening of the show in their backyard with their friends and family. The pictures have been posted on Instagram and they are so cute. Plus, Ashlee and Evan were at the radio show : Sway’s Universe for an interview.